Camera makers Lytro recently unveiled a new model that allows you to adjust the focus on your photos after you've take them. The target is customers who may not have the time or inclination to compose each frame while shooting. The camera uses light-field technology to create a sort of 3D model of what's in the frame. You can then adjust the focus by simply selecting that region on the camera, a computer or online. The eyecatching design measures a compact 4.4 x 1.6 inches and it also has a touchscreen at one end and a USB port. Wait no more. Google and Samsung have finally revealed the long-awaited Galaxy Nexus and the specifications are downright drool-worthy. 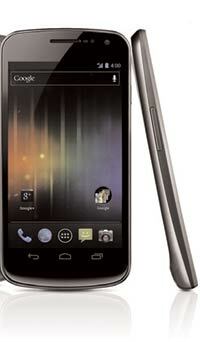 For starters, it is the first-ever smartphone to ship with Google's Android 4.0 Ice Cream Sandwich operating system. Then comes the 4.65-inch super-AMOLED screen, which borders on tablet range. There's also a 1.2GHz dual-core processor, 5 megapixel rear camera, a 1.3 megapixel front-facing camera, hidefinition video recording and playback, USB 2.0 ports, and the now standard wi-fi, accelerometer, compass, proximity sensor and even a barometer. Get your way with Tod's with their brand-new exclusive service. This one's for customers who want their very own customised accessories such as bags, shoes and wallets, including the much-loved Tod's icon, the D Bag. 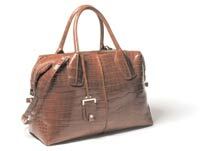 You can choose everything from the style to the materials - from exotic alligator skin to even water snake, lizard and specially treated calf leather. Want something even more customised? Tod's will go the extra mile to add your personal monogram on the product. They say an accessory is more than just a fashion necessity, it's a mode of selfexpression. 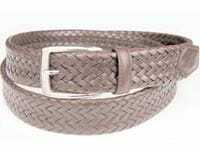 In this regard, Canali's burgundy woven leather belt with its polished metal buckle lends a classic, yet colourful touch to your ensemble. Team it with chinos or linens for that Sunday brunch or a casual day out with your friends. Lanvin, one of France's oldest couture brands, is hailed for its formal menswear. These classic brogues are a testimony to this. With light perforations and slight ribs at the toe cap, heel and centre, these symbolise understated elegance. Crafted from 100% leather, they are finished with leather lining and soles. The shoes come in deep black and brown shades and look best when worn with dark denims and navy blazers. Smile and celebrate with Paul Smith's rather brightly-named Optimistic for men. The top notes of this scent consist of sharp mandarin and spicy black pepper; both guaranteed to grab your attention. The middle notes consist of fresh mint and geranium. 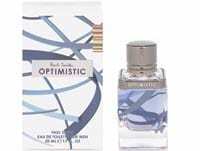 The base is that classic Paul Smith combination of deep, woody aromas such as vetiver, cedar and amber.